Graeme, a Geelong building consultant, has been involved in the housing industry for over 30 years in several different capacities. He first became a registered builder in the 80s building homes and units around the Bellarine Peninsula. He then spent the 90’s involved with one of Geelong’s leading builders, in the marketing/sales field, and in more recent years has ran his own Real Estate business in Geelong, specialising in both sales and rentals. It became clear to Graeme that building was in his blood which is why he decided to become Geelong’s first Jim’s Building Inspection Franchisee. 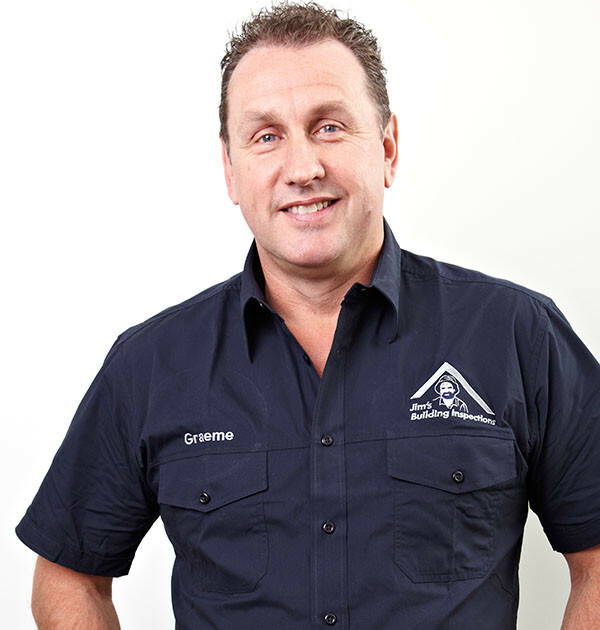 Graeme has spent much of 2012 studying to update his knowledge in house inspections to better service Geelong. These studies have included building inspections, home energy assessment, asbestos identification and will be soon undertaking a pest and termite inspection course. Graeme offers a wide range of home inspection services that range from basic, cost efficient Pre-Purchase Building and Timber Pest Inspections to Premium Building Inspections (which incorporates a Licensed Plumber, Electrician, Building Inspection and more to give the client total piece of mind when purchasing a new home). Graeme also offers a range of other property inspection services around Geelong. In particular this includes, independent stage inspections for new constructions (including Frame, Lock Up, Fix and Handover Stages). Graeme is fully insured and carries both Professional Indemnity and Public Liabilty insurance for client peace of mind. On a personal note Graeme has been involved through his 3 children in a range of sporting/social activities, and he is also a keen tennis player and enjoys playing Masters AFL football with Geelong. Let Graeme’s passion, knowledge and enthusiasm work for you.